Windows can be covered for privacy and protection from sunlight. Many households opt for these curtains or blinds not only to ensure safety but also to create the stylish look of the home. In general, the blind consists of horizontal or vertical long slats hold together with cord that can be operated manually or with remote. Different kinds of materials are used to make the slats. There are many advantages of shades that include privacy from outsiders peeking into the room. Along with privacy, you have the control to amount of light that will enter the room during any time of the day. 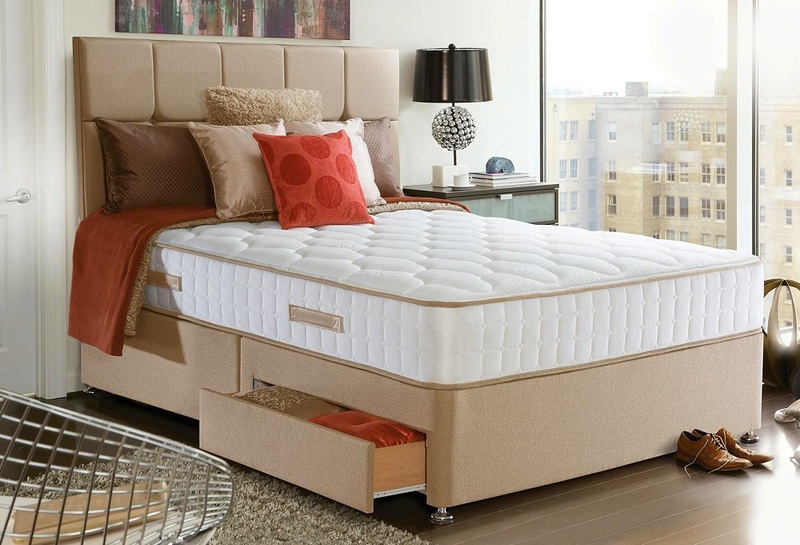 It offers good insulation so the heat inside the room does not go out and keep you warm in winter and the vice-versa. 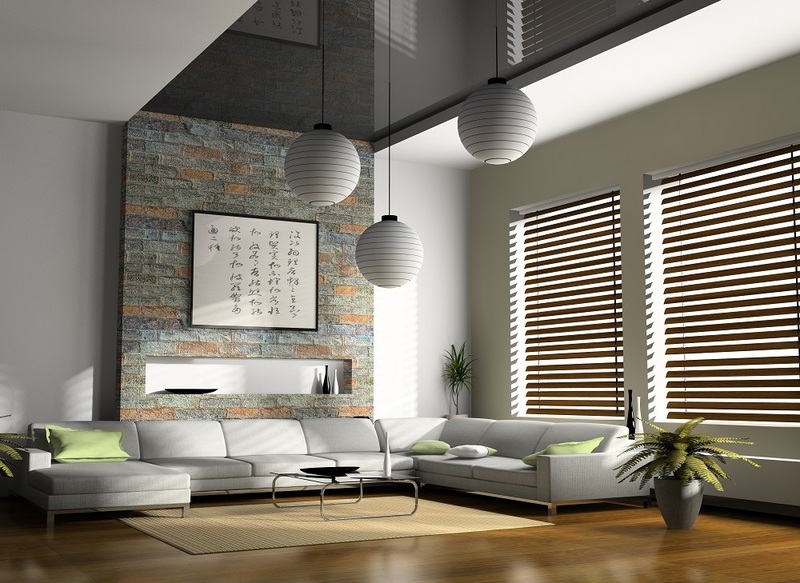 You can find blinds in different colors, styles and also they come equipped with a motor. The commonly used blind in commercial spaces is the roller. Venetian one, available in a variety of options such as faux wood, vinyl, wood, aluminum etc. offers a classic look to the room. Cellular shade is a combination of Venetian and fabric shades that offers thermal insulation with no dust. Pleated blind is another shade made out of cloth and used for light blockage like Roman shades. To give a sophisticated and stunning look to a home, you can consider choosing the vertical blinds that are available in different styles and colors. Because of a variety r of choices available, it becomes easy to choose the one that works with any décor. You can make your home look classy and elegant with these shades along with enough natural lights and privacy. This type of blind is unique because of the high level of contrast it offers. The blind comes with an elegant and super sleek fabric. When it is closed it offers privacy but at the same time allows natural light to come in. You can find motorized version of this type for smooth open and close operation. The most stunning homes can be created with the simplest ideas. Roman shades are simple yet glamorous option available in materials like fabric and bamboo. With simple manual or motorized operation, it can be pulled up or down as and when needed. Horizontal window blind has the ability to compliment a traditional house and also add charm to a modern home. Wooden shades available in dark or light shades can go well with wooden furniture. 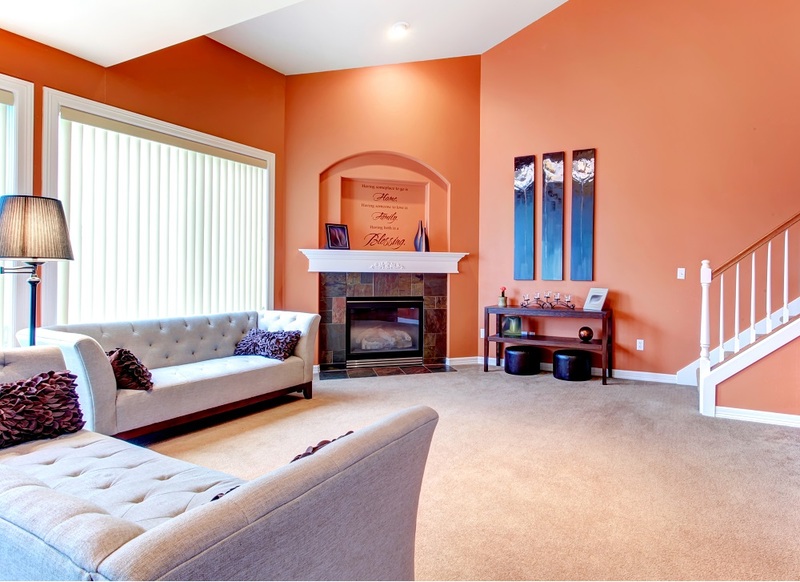 With little creativity, it is possible to experiment with color and create a classy contemporary look to home. Doors too require shades and choice should be made after careful consideration. It is ideal to choose vertical blind for the patio door. Mini blind that can be attached directly to the window is ideal for French doors. If you are highly creative or have a team of expert interior designers, you can also get your shades customized as per your home improvement needs. There are many companies who can provide you with a variety of styles designed exclusively for your home. Choosing a pale color shade with a beautiful design like floral linen can create a beautiful and vintage look to the living space. Simple pale blind can be enough to add style to a modern house. You can also choose fabrics with simple lines for contemporary feel home. Be bold with colors and big patterns for the stunning home. 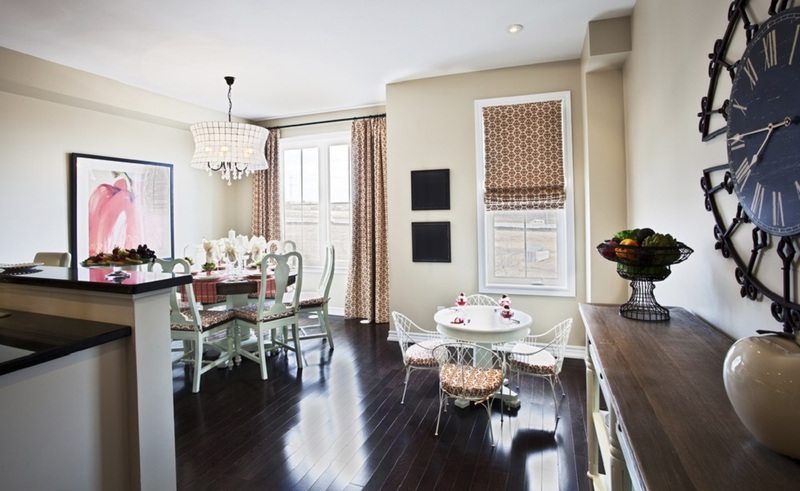 You can team the simple blind with curtains to match décor of the house. Combing two fabrics can work well in adding style to the home. Blind is an inexpensive way of decorating your home. There are many choices available in the market to choose from. By using different styles and combination of window covering you can create a beautiful and stylish look to your home by installing these blinds in your room with long lasting and durable window shade option. Plan to Hire Country Style Home Builders for The Dream House! 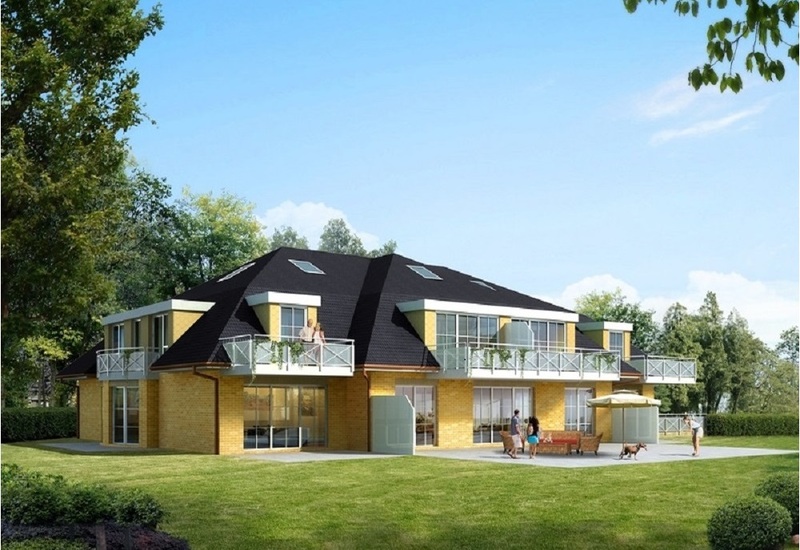 Homeowners are always excited to get their home build in a unique style. Some may purchase their dream home after getting it customized from the builders. They may even prefer to build on their own by giving contracts to the experts for each work related to their dream house. This is the best thing in the life admired by all to have the house that is different from others. People have a special liking for country house style and design that includes old-fashioned look with a modern plan of execution. The idea revolves around having the house look like country-living. You need to search for the country style home builders who can help you in fulfilling this dream. 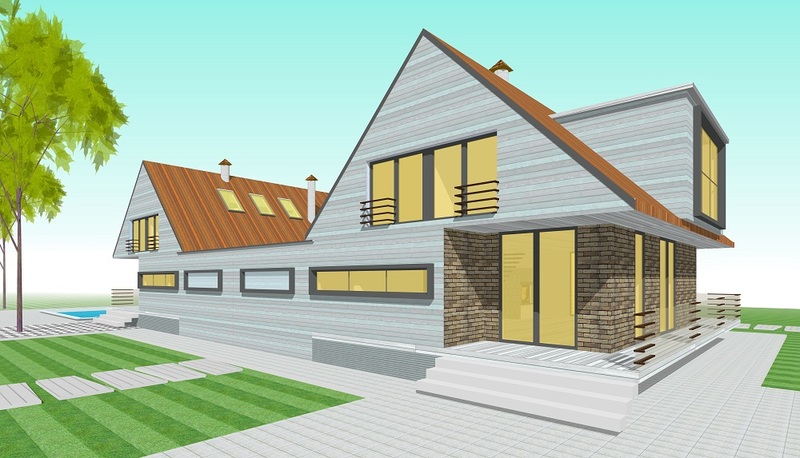 Follow these steps if you are looking for such an architect who can design your house with a perfect blend of modern twist along with a classic look. You have to select the builder carefully. Just like you take utmost care in selecting your dream home similarly take note of each and everything when you have to select the country style home builders. When you are sure about the style of the house, the process of listing becomes easy. The builders who are expert in designing the house in country style should be jotted down. Consider all probable names of the company, which can fulfill your expectation. You can even get suggestions from the home builders association of the particular area where you stay. They can guide you with the names of the reputed builders. 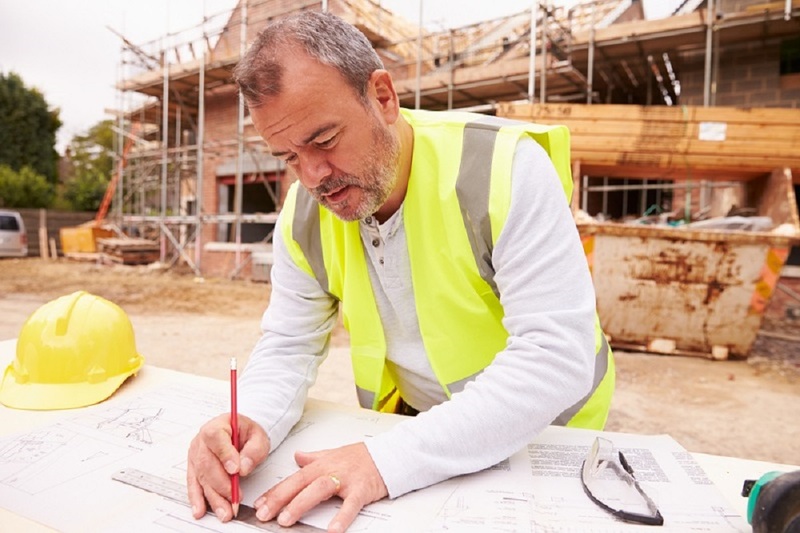 Even friends and family members can help you by suggesting names of builders they know and have experienced. Go through the local newspaper to know about the new projects of the builders to get some good ideas from them. With the list ready for you, it is time to analyze each of the options. You have to do research for country style home builders so that you get satisfied with the prospect before the work begins. Ask questions related to their work and the terms on which they work by meeting them in person. It will help you in comparison to their services. Their way of answering and solving your query lays the way towards a healthy relationship. It is necessary that they understand your requirement and can prove themselves to be the best country style home, builders. You can also visit their on-going projects to have a look at the expertise of the workers and the organized way with which the builder is getting work done. If you are happy with the visit to a particular site, you can think of fixing the perspective option. They should promise to give the house an appealing look. The research work should be done by noting down the information of the would-be country style home builders. It is important for any homeowner to get the worth of their invested money. Therefore, the selection process must be proper to get good results. You can look for different shows for getting the ideas related to the designs. The selection can be done by making them prepare a model house for better understanding. You have to meet the builder and finalize the deal at a fixed price. Make sure the quality of the material used in building the house is the best. When you are planning to renovate your home, you should keep one thing in mind the utilization of the available space is done appropriately. The expert country style home builders can give the homeowners the sense of satisfaction by the best designs. They can give the house a traditional look without giving up the modern amenities. Window Pane: How to Replace with New One? 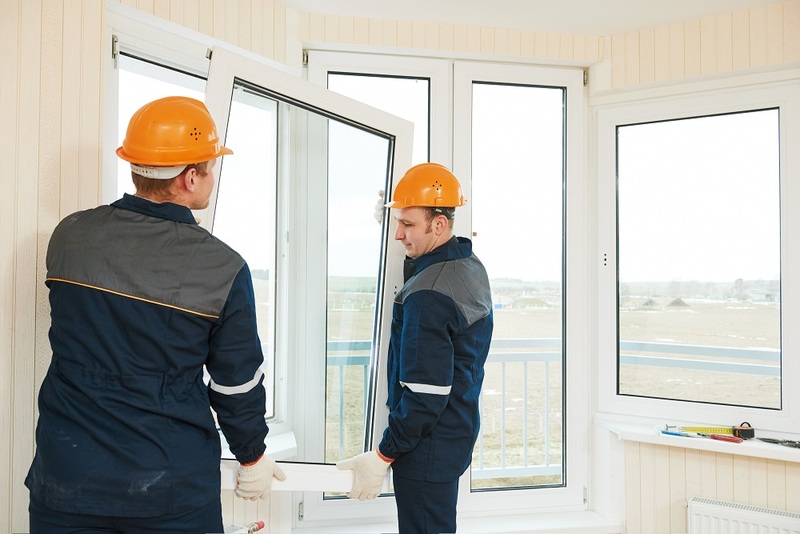 Glass is fragile, as we all would know all too well, and therefore it’s almost a certainty that some of the window panes in your home would break at some point. If you have kids, sooner or later a baseball is going to come flying through a window, instead of safely into a catcher’s glove. Or you might have an accident indoors while decorating a Christmas tree, ending in a branch poking a hole through a closed window. Accidents happen, unfortunately, and when they do, you need a contingency plan. Chances are that you haven’t saved up any loose change in a jar to prepare for unexpected window breakages. That means that, if you have modern double glazed windows, you are in for an expensive replacement exercise. 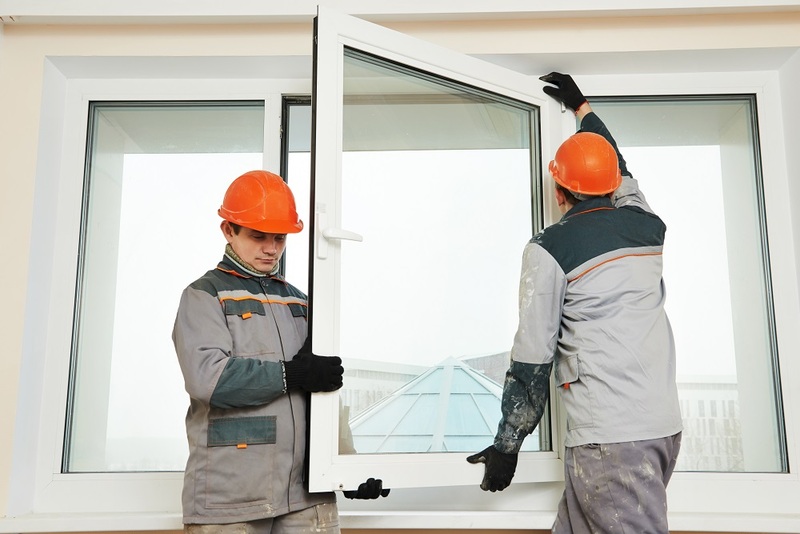 But older, simpler, single glazed windows are much easier to work with, so you may want to try your hand at replacing your broken windows yourself. How hard can it be, right? Well, not that hard at all, thankfully. But to help you remove some of the trial and error from your first attempt at replacing broken windows, here’s a neat little step by step guide to help you through the process. Before you can get started, you need to head to your tool shed or garage to gather all the tools and materials you will need. You may also need to take a trip to the hardware store to purchase everything you don’t have. Safety first! Heavy duty gloves to handle glass, safety goggles to protect your eyes. To make the work easier, it is advisable to remove the window sash if possible. This will enable you to lay the window down flat at a convenient height. Remove the broken glass carefully, using gloves to help prevent the glass from cutting your hands. You should also use safety goggles in case you stab yourself in the eye with a sharp shard of glass. Also, remove the old glazing points from the frame. Use your putty knife to remove all the old glazing putty. 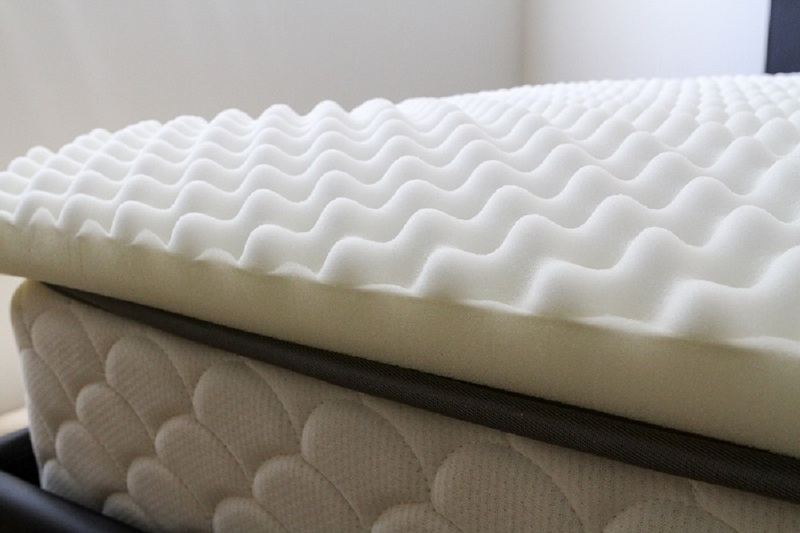 Use a heat gun to soften the putty, if it’s the good old-fashioned kind. Be very careful not to burn the frame. If it’s a newer window, it may have a vinyl glazing strip that you can pull out easily. Next, you need to sand the grooves of the frame to remove old putty and paint residue. Then you need to paint the surface with wood sealer, or with linseed oil, if you will be using traditional glazing putty. This will help to keep the wood from drying out the putty too quickly as it absorbs its oil. Using your tape measure, measure the inner dimensions of the window frame. Then subtract about 1/8 inch from both the length and the width, otherwise, you may find that you have a fit that’s too tight. You can always trim it to size with a glass cutter, but it’s better to have it cut to the correct size by the company that supplies the glass, in case your glass cutting technique needs some practice. Now that you’ve prepared everything, the real fun can begin. Before you grab the new pane of glass, you first need to prepare a layer of glazing. Take the caulk gun and insert a tube of glazing compound. Then apply a thin layer of glazing compound to the grooves in the frame. If you are using old-school putty, you need to kneed it until it’s soft and add linseed oil to get it to the consistency recommended by the manufacturer. Then you need to roll it into thin strips and smooth the strips down into an even layer on the inside of the frame. Now you can carefully insert the new pane of glass onto the layer of putty or glazing compound, and bed it down gently. Then, finally, you need to insert glazing points into the frame. Lay them flat on the glass, and carefully wedge them into the frame using the putty knife. Space the glazing points about six inches apart. Now that you have set the glass in place, the final step is to apply a layer of putty or glazing compound to the outside of the frame to cover the glazing points, and to create a neat finish. If you are using a caulking gun, squeeze the trigger with even pressure, while applying glazing compound to the edge where the glass and the frame meets. Then, take a wet cloth and smooth the glazing down. If you are using traditional putty, roll it into a sausage as long as each side of the glass, and smooth it down while holding the putty knife at an angle. The last step is to paint the frame. You can’t do this right away, however. Depending on the kind of putty or glazing compound you used, you will need to wait anything from a few days to a week before you can paint over it. Traditional putty will take the longest, but sometimes it can be painted over as soon as it has formed a skin over the putty. It is best to wait until it has hardened, and then paint it with an oil-based primer. More modern glazing products, such as latex glazing, may be ready to paint over within a day. When painting the window frame, paint about 1/16 inch over the edge of the glazing, onto the glass. This will help to ensure that water can’t get behind the glazing. When the primer has dried, you can finish the job by painting over the primer with a suitable weatherproof exterior paint. About the Author: This article is a contribution made by Apex Window Werks, a house window repair & replacement company located in Chicago, IL. The company deals with wood windows more than 8 years already. Feel free to get in touch with them for a free estimation. 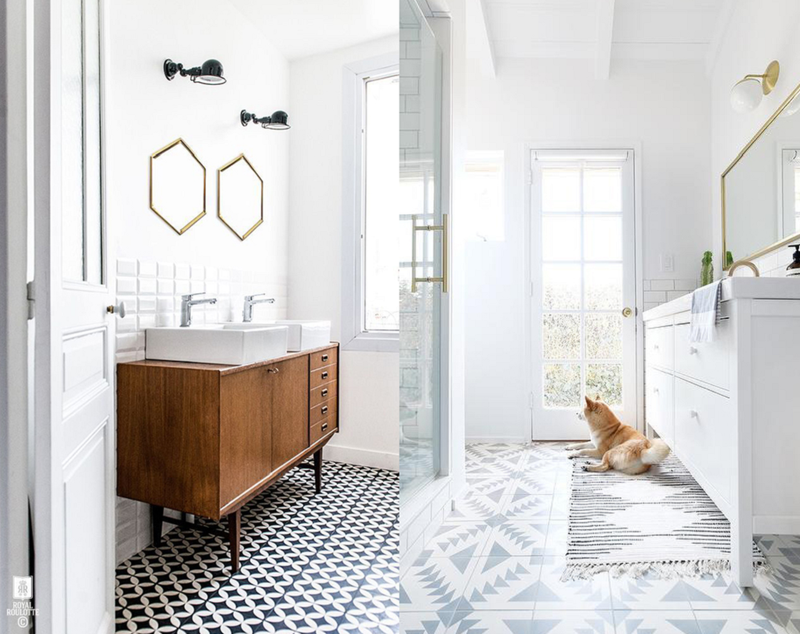 Thinking of revamping your bathroom with cooler tiles? Allow me to offer some inspiration, so you can replace your outdated tiles with newer and better ones! Below, I have some tips to help you pull off the look effortlessly. Keep reading to find your next tile crush. Mix and match your neutrals! It makes the typical neutral look much more exciting when paired with different shapes and patterns. 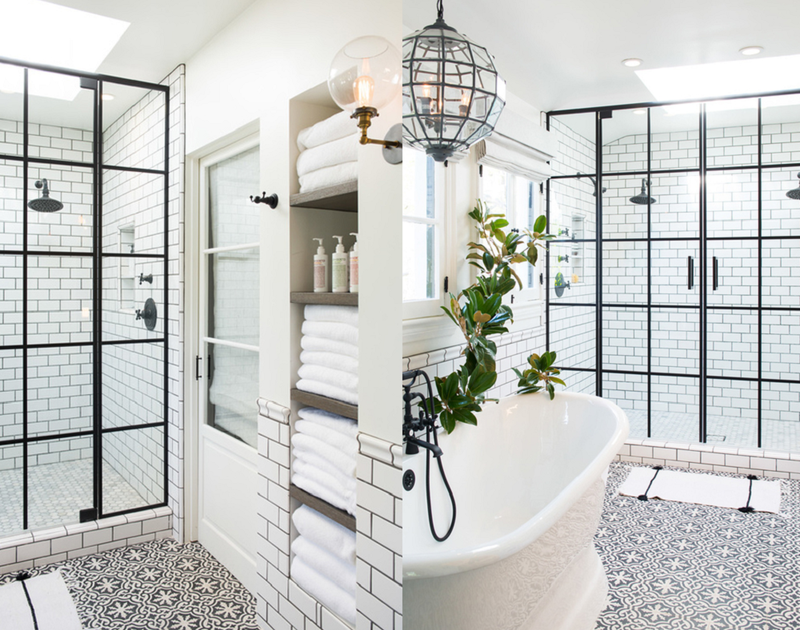 Take a classic white subway tile with black grout lines and transform it by pairing it with an intricately patterned black/white tile. Also, black and white is the ultimate contrast duo which creates instant visual interest. So, definitely look into tiles with these classic colors. The natural stone look is a classic and will add texture to your bathroom. It will also bring a whole new level of elegance to your shower — especially if you use marble! Marble has a timeless beauty, so you won’t have to worry about updating your bathroom every year. Just make sure you provide proper care for marble tiles, which need to be sealed at least twice a year to prevent discoloration and preserve their texture. The Arabesque shape cyclically trends because of its distinctive and timeless design. The lantern-like shape is the perfect balance of geometric and intricate, making it super versatile! 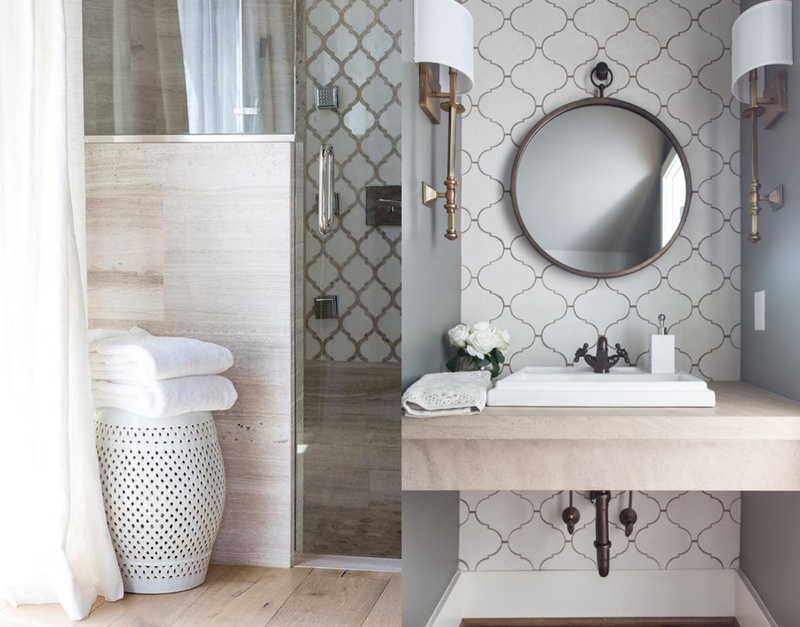 Since white Arabesque bathroom tiles are the standard go-to, you do have to pay attention to grout color. Try to avoid white grout lines. Too much white washes out the style, which is why white-on-white bathrooms are out. Instead, frame your fresh white tiles with a sandy beige colored grout to keep the look natural and give it harmonious contrast. This color combo also matches the natural wood-look for that spa effect. Geometric patterns are totally in and not just circles and triangles! Think beyond your basic shapes and mix them together for a completely different theme. Look into vintage geometric patterns or tribal patterns to really be up-to-date. The clean lines will add an interesting element to any space, plus it will show off your fun and sophisticated personality. You can play with these patterns by choosing different color combinations like a contrasting black and white duo or an effortlessly cool grey. Bring some light and color to your bathroom by adding colored glass and mosaic tiles to your bathroom walls. Not only will the tiles offer a pop of color to liven up the space, it will also add some shine because of the naturally reflective properties of glass tiles. Glass tiles are also easy to maintain and will give your bathroom a high-end look. Incorporating color is also a good way to create a theme for your bathroom. For example, using blue shell-shaped tiles to create a lighthearted nautical look. 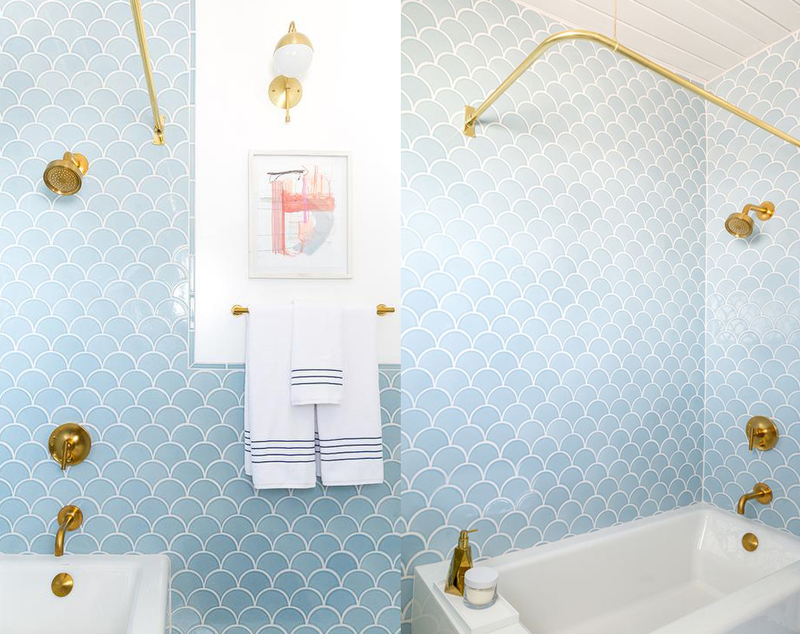 Pair light blue glass tiles with gold hardware for a luxurious color combination. I hope these ideas have provided you with some ideas and inspiration for updating your bathroom’s tiles. As always, your personal preference is the most important factor. If you love it, then it works! The only caveat is to make sure it’s the right type of tile material for the space you’re working in. About the author: Lucy Parker is the Resident Design Consultant at HomeDecorAZ.com. When she's not busy helping clients with interior design projects, Lucy writes blog posts related to home décor. She’s also a foodie who loves traveling and enjoys movies (except horror). The requirement of heating water becomes essential during the chilling winters when water feels ice-cold in normal temperatures. So, the water heaters of reputed brands are installed in most of the common households to keep a steady supply of hot water. But like any other machinery, these heaters too may face breakdown anytime. So, it is necessary to get in touch with an expert who is experienced in handling hot water systems of any brand. Though many homemakers try to fix trivial issues of the heaters themselves, it is best to call the professional technicians for repairing the serious issues. When water starts flowing out abnormally from the Temperature Pressure Relief or TPR valve; too much water is wasted in the process instead of being heated. In that case, the valve and associated parts should be professionally checked for repairs. The large cylinder for storing the heated water may start leaking profusely, resulting in the immense wastage of both water and energy. Thus, only professional hot water repairs services can save these wastages and the money that would be otherwise spent in this regard. If the flow of hot water from the tap slows down or simply stops, you should hire a plumber or a water heating professional to fix the problem immediately. But in this case, thorough checking of the entire heating system may be required to know the actual problem if the concerned tap is found to be in fit condition. The total heating system may void the water supply due to an obstruction in the adjoining pipes or valves. So, an expert plumber can easily detect the problem and address it efficiently to restore the normal water flow into the water heater. 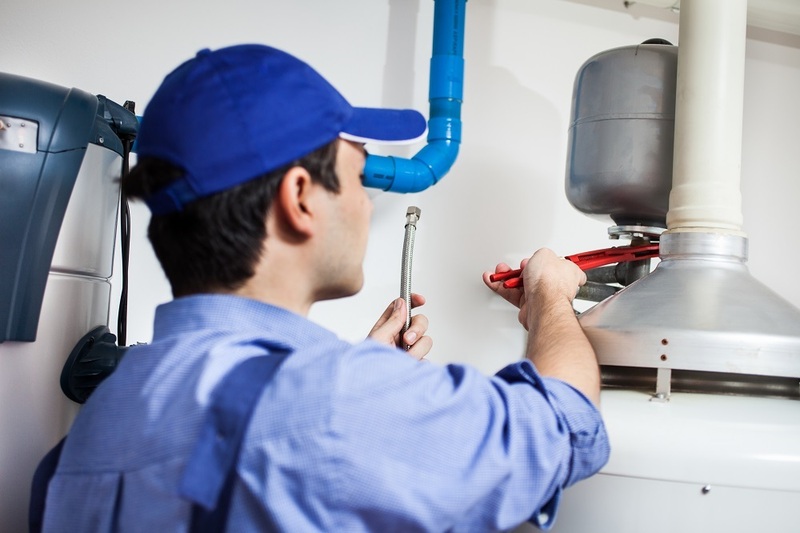 The experienced professionals complete all the repairing works of a water heating system within a few hours only, irrespective of the complication level of the problem detected anywhere of the heater. The local repairing technicians offer prompt services to their clients whenever called at the time of emergency. Their services are available for 24 x 7 days for the convenience of their clients, but they do not charge a service fee for working during the official working hours. The plumbing professionals thoroughly check the system to detect the issue and give a report of the spotted defects to the clients, for seeking their permission to carry on with the necessary hot water repairs. But if no visible problem can be detected there, no fee is charged for this plumbing inspection. When any part of the heating system needs to be replaced by the professionals, the clients are offered long guarantee period on those high quality spare parts for 1-2 years. 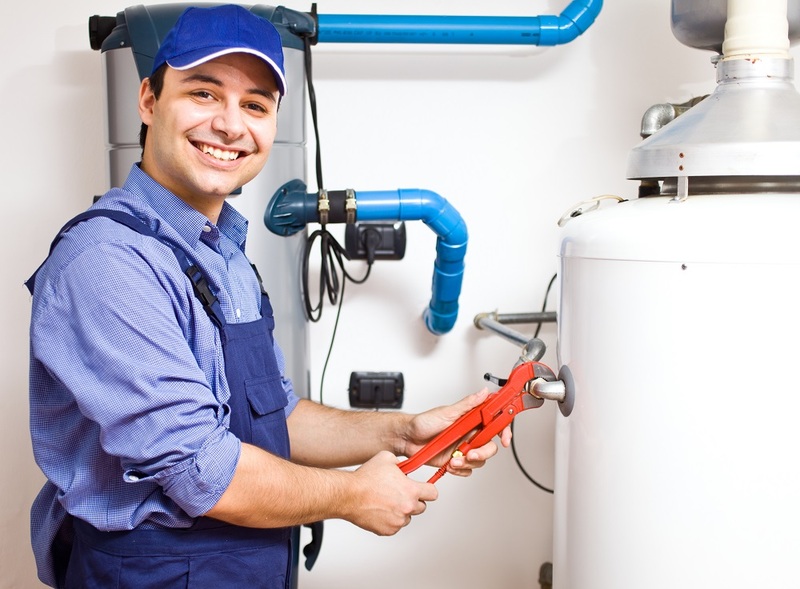 All the water heating professionals charge fixed amount of fees for delivering their services. So, the clients are never dissatisfied with the qualities or the charges of these water heating repairs. Many house owners may prefer to apply some DIY techniques for the fast repair of their hot water systems. But they should have all the necessary tools and adequate knowledge of handling the sensitive parts of the water heater system, without causing further damage. Moreover, any lack of proper safety measures can result in disastrous accidents, which may land with more expenses and all the related hassles that can be occurred during the process. So, it is better not to try these DIY techniques of heater repairs, unless you are confident about your ability to do it. Bifold doors can be folding and sliding. They are built up in pairs and are connected on rollers with a metal track that runs along the frame of the door. When you open the bi-fold panel it folds back to make your way outside. How they give home owners a boost? They provide remarkable visuals that can rejuvenate your home – the most common reason why homeowners decide to renovate their houses is because they are tired of the old look and want to live in a modern house. In order to improve the home decor, they may often buy new doors and windows as they bring a different look to the home. Bifold doors are one such product which has extremely lustrous design and its latest opening option can help you enhance the look of the house. They are multi-talented – the door is equipped with hardware such as the hinges, handles and locks which are available in different finishes and colors and are used to enhance the beauty of your homes. They allow aeration and access – due to the sliding and folding mechanism these doors allow in outside air. 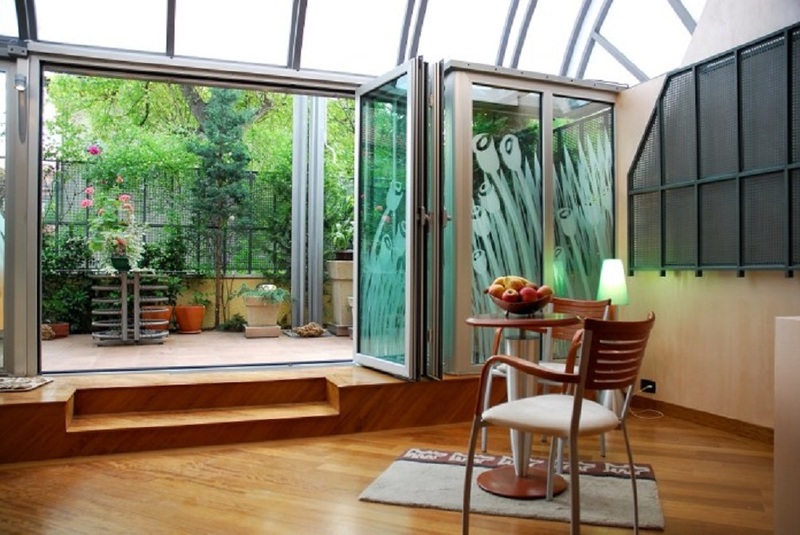 If you need to circulate air in a particular part of the room, bi-fold doors are the most efficient way for that. Bring back the charm in the interiors- with bi-fold doors you can refresh the look of your home without spending much. The most easiest and economical way of decorating your home with bi-fold doors. A small space can be separated with the help of bi-fold doors. You can hide the messy laundry room, by separating it with bi-fold doors. They are very light in weight and can be managed very easily. 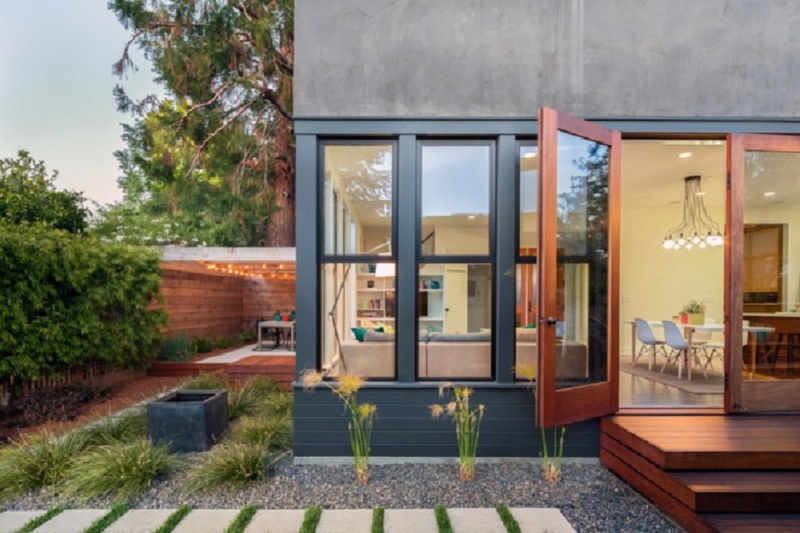 How to choose bi-fold doors for your house? You have to measure a wall where the door will hang up so that you get the perfect measurement. Then measure the vertical opening and leave 2 3/4 inches space for hardware. You will get varieties of choices available in the market from where you can select one for your home. You can hang any type of bi-fold doors with ease. First, you have to install the hardware. You need to take accurate measurements before installing the hardware to ensure the proper functioning of the door. Now apply screws on the holes that are marked for hinges. Hang and lock the hardware on which the door will slide. Now apply screws to the floor brackets and secure them. Once the hardware is fitted properly, hang the doors. You can either do it yourself or seek the help of an expert. You can either buy an unfinished wood which has a coat of primer on it or a completely finished door. Half bifold doors can be used in kitchens to separate the living and dining room. You can also use them to cover the bathrooms, open pantries and even garbage areas. You will get huge varieties of colors, glasses and fashion accessories for your bi-fold doors at most affordable prices. The high quality audio laminated glass used for bi-fold doors helps reduce noise entering the home. The doors are armored with galvanized steel to make it sturdy and long lasting. These doors come equipped with the latest locking system, thus ensuring safety of the house. The doors have colors that will not fade away or wear off. The above information helps you to learn about how bi-fold doors are so important for home improvement. Ever wondered what goes through a burglar’s mind? How do they identify their target homes? What are their preferred break-in methods? 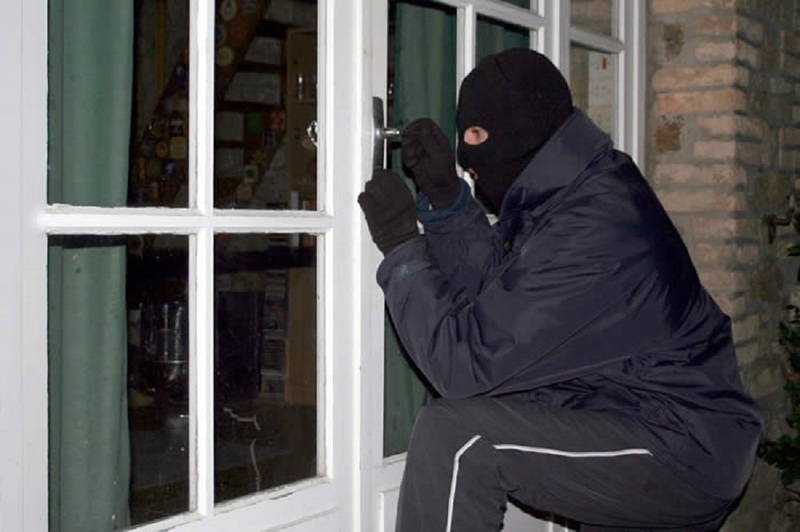 With every client that you have, it is important to think about their home security like a burglar. The intruders will focus on their favorite weak spots and strategies. Statistics show that a burglary happens every 15 minutes in the US, and most cases go unresolved. Here is a peek into a burglar’s mind. Learn tips and strategies used by the criminals to gain access to your home and use them to prevent it from happening to yours. A potential thief often poses as a utility worker. They will flash a fake ID or claim to leave it in the truck. The intruder will ask to check something in your basement, attic, or backyard. You will be distracted as an accomplice enters your home and steals from another point of entry. Others will learn your routines and patterns before striking later. Always ask for identification before authorizing entry. Also, keep your security system armed even when you are home. The burglar will look for valuables, cash, and jewelry in the master bedroom first. They will steal electronics and appliances from the kitchen and living room. Consider keeping all your important documents in a home safe. Do the research and get one that will hold up in different situations from weather related changes to home fires. Read safe reviews to learn more about these items and other security products that you can use to safeguard your home at InformedMag. Is your home on the market? Open houses and realtor showings are ideal ways to see how a home is laid out and which items are located where. After all, they have unrestricted entry to all the rooms to view it all. The intruders have enough time to check out the windows and open the closets to check security on the access point. The thieves may leave the windows open for an entry later. They are not looking to draw attention to themselves. The intruders will pose as the cable man for a closer inspection. Most of them will scout for their targets when most people are away from home. The intruders first instinct is to try the front door. 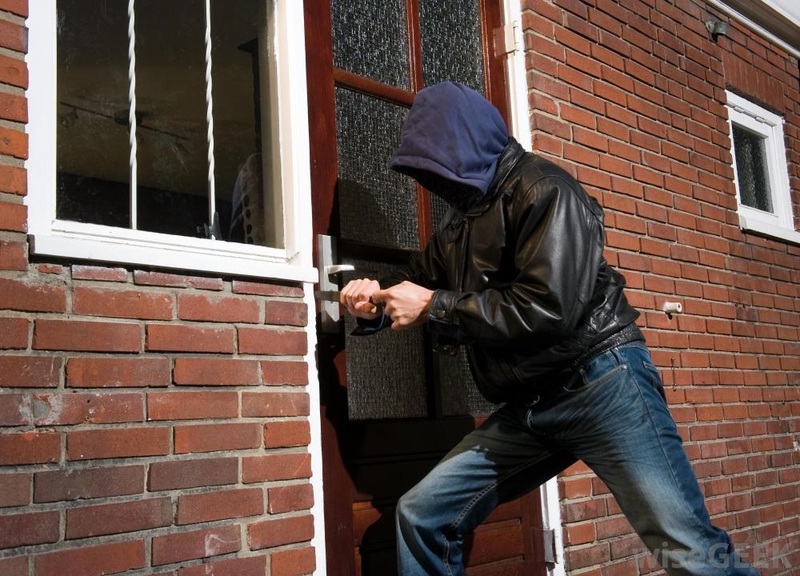 Statistics show that 34 percent of the break-ins happen at the front door because we assume no one would be so obvious, and we leave them unlocked. Dim lighting and a hedge shrouding your house from the street makes the robbery easier to conduct. Always lock the front door. Use a solid deadbolt and properly light your house to make it visible to passersby. You can also install motion-light sensors that will go off when someone or something crosses their path. These are adjustable to prevent a raccoon or other animal resident from setting them off. 22 percent of break-ins happen on the windows and other entrances. The thieves must do their work quickly. When the front door doesn't budge, they will walk to the windows. If you offer the proper criminal camouflage such as the high walls, shrubbery, and trees, it, makes their work easier. The solution is to light the sides of your house with motion sensor fixtures that light the area. Ensure you neatly trim your foliage. Fix your sliding doors and windows by installing jamming rods. Garage doors are easy to open. They are big and visible from the streets. For the roll-up garage doors, the thief only needs a piece of wire that cracks the top of the door, and it pulls the emergency clutch. Also, there is enough room to hide in the garage should they want to do so. 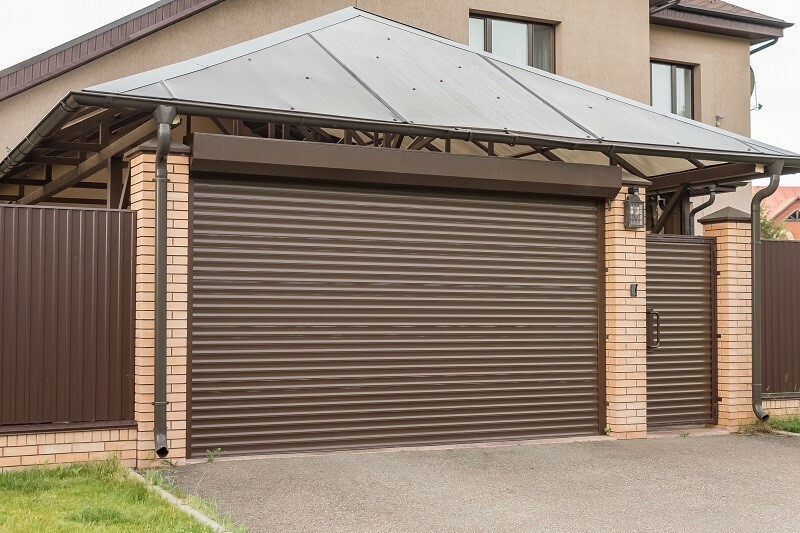 Invest in a secure garage door made from reinforced steel or solid core wood. The side-mounted deadlocks should be accessible from the inside.